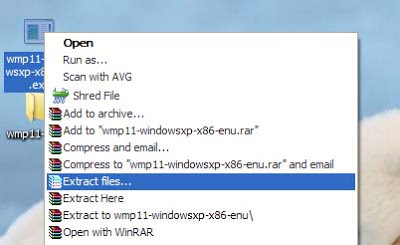 You need WinRAR to do everything perfect and easy. 2. Install wmp11.exe then restart Windows. U have to restart twice in this process. Failin so may or may not cause u problem.